Emeritus Professor of Law Savitri W E Goonesekere has been described as a ‘legal luminary’, ‘woman pioneer’ and a ‘legend in the legal and academic fields of Sri Lanka.’ The University of Colombo has had the rare distinction of having had Prof. Goonesekere as its first female Vice Chancellor and its first woman Professor of Law. Prof. Goonesekere has been and continues to be a distinguished academic and legal professional who is regionally and internationally acclaimed for her intellect, ethics and charisma. She has made ground breaking contributions in Sri Lanka and in South Asia in research relating to the areas of children’s rights, women’s rights human rights law, development and legal education and she continues to be a great source of inspiration and encouragement for those who seek to advance truth, human dignity, justice and democracy in this country. Prof. Goonesekere’s primary and secondary schooling was at Ladies College Colombo. She entered the Faculty of Arts with a University Scholarship and graduated from the then Department of Law, University of Peradeniya with First Class Honours in 1961, also qualifying as an Attorney-at-Law. She went on to read for her master’s degree at the Harvard Law School in 1962 as a Smith-Mundt Fulbright scholar. Her first appointment as an academic was at the Department of Law of the then University of Ceylon where she also happened to be the first female law lecturer. She was a senior lecturer in the Department of law when it moved to Colombo in 1965, and held this post in the newly established University of Ceylon, Colombo which subsequently became the University of Colombo. With that significant start, Prof. Goonesekera embarked on a trail blazing journey, eventually becoming an icon for women’s empowerment and equality both in Sri Lanka and in the region. Subsequently, Prof. Goonesekere was appointed as Professor of Law at the Open University of Sri Lanka in 1983. 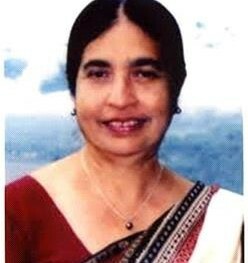 She gave leadership in establishing the first and the only Bachelor of Laws programme under the concept of life-long learning through the Department of Legal Studies in the Open University of Sri Lanka (OUSL) where she was the first Head of Department and later the Dean of the Faculty of Humanities and Social Sciences. The LL B course structure and course books used at OUSL were developed under Prof. Goonesekere’s leadership and are an example of her commitment to the promotion and development of legal education in Sri Lanka. In 1995, Prof. Goonesekere came back to the University of Colombo as Senior Professor of Law. During her tenure at the Faculty of Law, she gave leadership to the revision of its curriculum brining it on par with global leaders in legal education. In each of the institutions that she served, Prof. Goonesekere maintained high academic standards, professional ethics and a commitment to the continuous improvement of the institution through a culture of debate, discussion and seriousness of purpose. In consideration of her significant contribution to those institutions both the Open University of Sri Lanka and the University of Colombo have honoured Prof. Goonesekere with honorary degrees; an honorary Doctorate of Letters and an honorary Doctorate in Law respectively. Regionally and internationally Prof. Goonesekere holds a reputation for excellence in research and advocacy particularly in relation to the rights of women and children. Her appointment to the Committee under the International Convention on the Elimination of All Forms of Discrimination Against Women (1999-2002) is a reflection of the wide recognition afforded to Prof. Goonesekere as an eminent jurist. Prof. Goonesekere has published widely in the areas of women’s rights, children’s rights, human rights, and development and governance. ‘The Sri Lanka Law of Parent and Child’ (2002), ‘Children, Law and Justice: A South Asian Perspective’ (Sage Publications 1997), ‘Violence, Law and Women’s Rights in South Asia’ (Sage Publications 2004) are some of her publications that are regularly used as textbooks both nationally and internationally. Her books, monographs, book chapters, articles, research reports etc are extensive in number and widely recognised as being excellent in their quality. She has brought many a unique insight into the study and understanding of the role of law in society. She remains as one of the very few local legal scholars authoritatively cited by the Supreme Court of the land, including in the celebrated case of Abeysundera v Abeysundera (1998) where a unanimous five-judge bench established a progressive interpretation to the statutory provisions on bigamy, overruling a former judgement of the Privy Council given on an appeal from Sri Lanka. Prof. Goonesekere’s expertise is not restricted to one area of law. Its sweep is very wide and deep: from matters connected to family law and rights of women and children; to legal systems, legal method and education; from delictual obligations, equity, trusts and property to criminal law; from labour law to human rights law and constitutional law. In her teaching, research and practice, Prof. Goonesekere has underlined the need for understanding the ‘Law’ as a whole and as an inter-related concept rather than as a discipline that is compartmentalized. The inter-connection between law, policy and advancement of society has been highlighted by Prof. Goonesekere in her work. Prof. Goonesekere has also made very significant contributions in the areas of proposing law reform, institution building, the development of policy and in the management of institutions. Apart from her appointment to the CEDAW Committee, Prof. Goonesekere has chaired numerous committees, sat on boards of many significant and prestigious institutions and developed policy both at national and regional levels including an editorial member of the World Report on Violence against Children published by the United Nations, Chairperson of South Asia’s Women’s Fund, member of the SAARC Panel of Experts on Children, Chairperson and member of Asian Development Bank External Forum on Gender and member of Law Asia Standing Committee on Legal Education. She has collaborated with the United Nations through its different agencies including UNICEF, ILO, UNIFEM and WHO in the promotion of human rights, particularly that of women and children. In recognition of her outstanding achievements she was awarded the Fukuoka Asian Academic Prize in 2008. That prize is awarded to those who through outstanding achievements in the field of Asian studies, contribute to the world’s understanding of Asia. Outstanding national, regional and international achievements are only some aspects of the distinguished and charismatic persona of Prof. Goonesekere. Those who have learned under her and worked with her, attest to the dignity and integrity of Prof. Goonesekere. When Prof. Goonesekere was awarded an honorary doctorate in law by the University of Colombo, the then Dean, Mr. Selvakkumaran in his citation made the following observation ‘I have found Professor Goonesekere to be a person who practices what she preaches. She upholds democratic values, human rights and respect for others’ views. It is her nature to agree to disagree without any ill-will, hate or anger. She is truly a respecter of human rights and democratic values.’ (Citations for Honorary Degree and Convocation Address, University of Colombo 2005, 9). The University of Colombo is indeed both privileged and honoured to count the likes of Prof. Goonesekere among its ranks.